The Korean Cultural Center New York is a promotional partner for the U.S. Premiere of SNAP at The New Victory Theater. 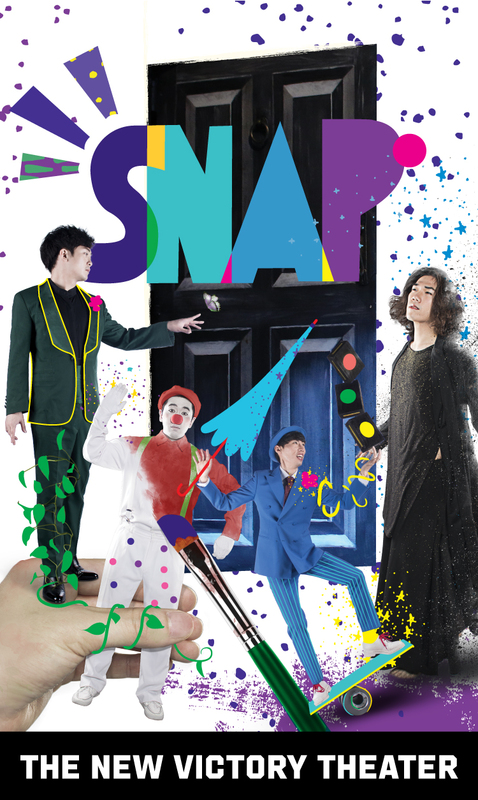 Brilliantly staged, SNAP is a wild mix of illusion featuring an eclectic ensemble of South Korean artists who will boggle your mind with their impressive powers of prestidigitation. Stumble through a mysterious door and meet a variety of silly and strange characters who play with space, time and the otherworldly. The Oddball juggles bricks that appear out of thin air, The Alchemist conjures silver hoops out of glittering sand and The Florist turns playing cards into fluttering butterflies. Making its U.S. debut, the mysterious and magical SNAP apparates onto the New Victory stage from April 12 - 28, 2019. For more information about this performance, please visit www.gruejarm.com / www.facebook.com/theshowsnap / www.instagram.com/theshowsnap.